Keswick Hall in Keswick, Virginia is not only known for the history of the property and the beautiful grounds, it is also known for great dining. Keswick Hall was recently recognized as the #1 hotel in North America for food in Conde Nastè Traveler’s Gold List for 2011. 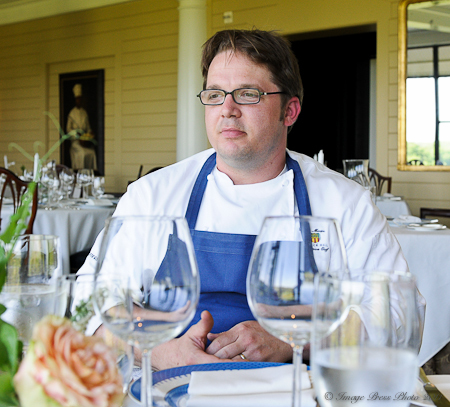 Chef Dean Maupin, the Executive Chef at Keswick Hall, was the Chef de Cuisine at Fossett’s (their fine dining restaurant) for two years when it opened in 2004. 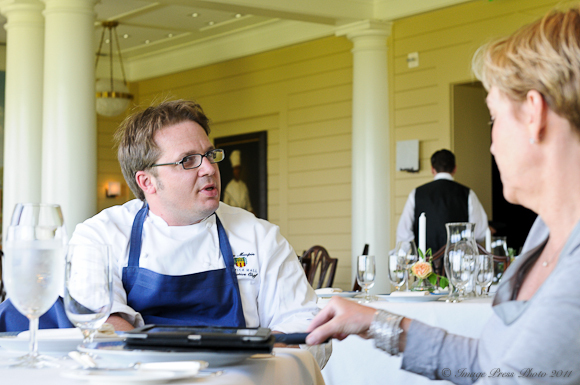 After spending a few years away at the nearby Clifton Inn, Maupin returned to become the Executive Chef of Keswick Hall in September 2010. Maupin, originally from Crozet, Virginia, has never wandered too far from home and loves this area where he grew up. A graduate of the prestigious Greenbriar’s three-year apprenticeship program, Maupin, who is French, was trained in a traditional European manner. 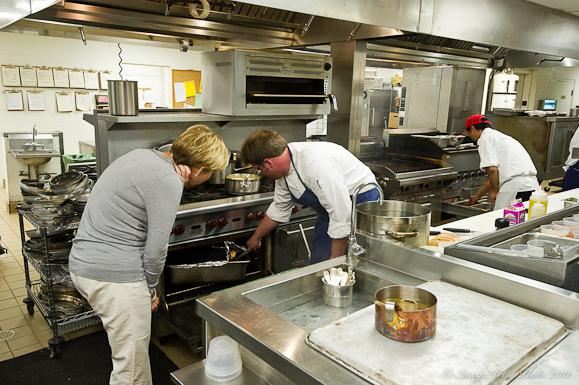 The emphasis at Greenbriar was on teaching the fundamentals of making stocks, sauces and butchering. The focus was on repetition, doing one thing for three to four months to get it right. 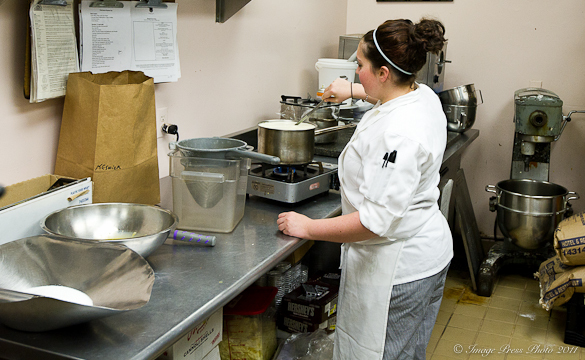 It is this kind of training that has been a great influence on Maupin’s own culinary style. He likes to think of his cooking as” flavor driven, tasty food”. There is definitely International influence in his dishes. He blends French and Italian styles (he loves homemade pasta). He also enjoys Asian flavors. 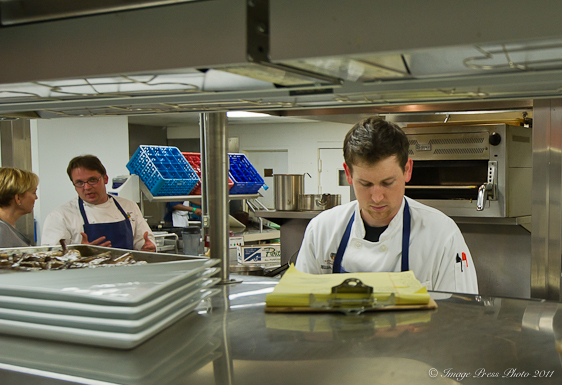 Maupin weaves these flavors together with primarily local and seasonal ingredients to create his menu. 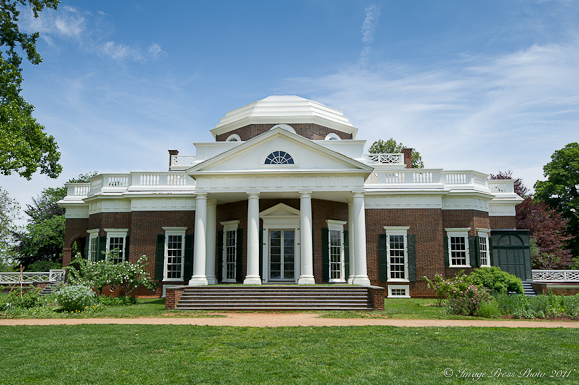 As mentioned in my previous article, Keswick Hall is located near Charlottesville, Virginia, home of Thomas Jefferson. 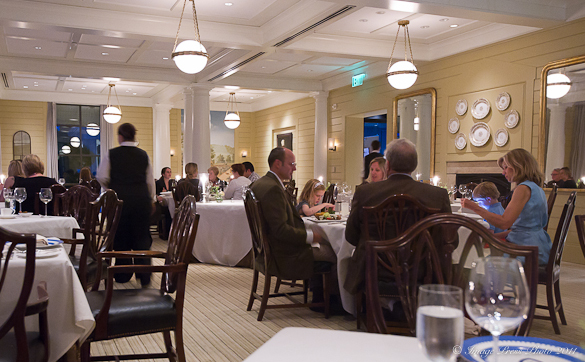 Jefferson’s influence shows up in much of the foods in the area. Jefferson was quite the gourmand and imported many foods, such as pasta, so Maupin stays with tradition in writing his menus, keeping with a Jeffersonian style of cooking. The name Fossett’s is directly related to Jefferson. 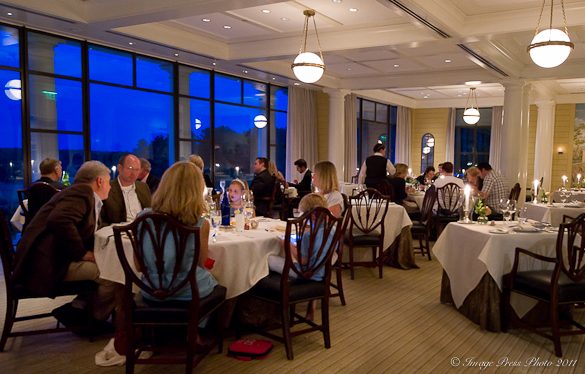 The restaurant is dedicated to Thomas Jefferson’s personal chef, Edith Fossett, who was with him during his retirement years at Monticello. Maupin believes that dining should be focused on dishes that are more compelling (but not intimidating), incorporating and layering simple and interesting flavors. He is doing this with smaller portions, so emphasis is on the quality and not quantity of the portions. 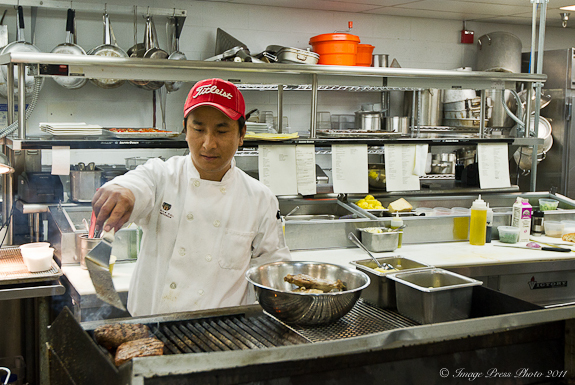 If you still want to order a large steak, he will certainly cut one for you, but he says he has found success in creating his menus this way. When asked about the impact of all of the food shows on television, Maupin jokingly said that he thinks it is making us all fat. He says that when he watches certain shows, he wants to head to the kitchen to make the dish! On a more serious note, the shows he prefers to watch are The Best Thing I Ever Ate and Top Chef. This sounds fantastic, and doable, even for my guy who’s had a heart attack! I could lighten up the Parmesan sauce with half and half, and use less sauce on his serving. He’s a huge scallop fan. This might even be doable for Father’s Day, to celebrate him! 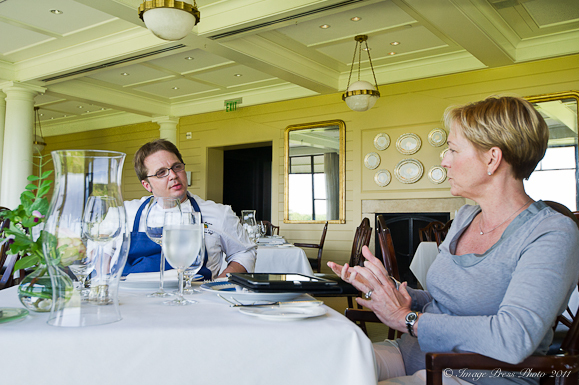 Such a great interview and post, but even better is that scallop recipe! I want to get in the screen, pull the dish out and just nom nom nom! what a wonderful; interview Gwen! He is right about starting with good ingredients, they make all the difference in the world, and how I do love wegmans, they really have a way of bringing quality into everyday items! The ratatouille is such a unique compliment to the scallops, I may have to try that next time I get scallops!